When it comes to the bathroom, every square inch counts. 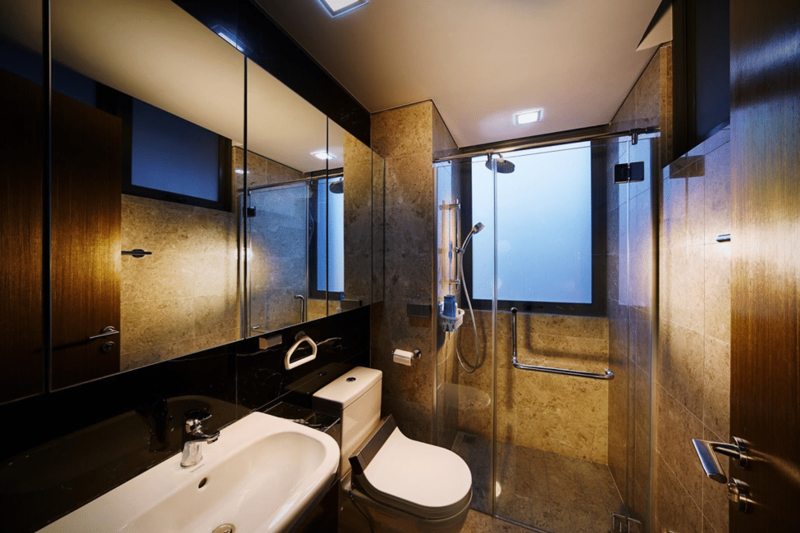 Bathroom tiles have great importance as it can reflect light, a way for easy to clean and it tidy up the space. Innovative and new bathroom designs have changed the old-fashioned bathroom designs. High quality ceramic tiles are now playing a great part with their endless designs. Installing tiles is a nice way to make the bathroom look sparkled. You can remodel your bathroom by simply changing your tile design other than a major renovation. Here we will showcase some amazing bathroom tile designs designed by our interior designers which may help to revamp or install classy bathroom tiles. 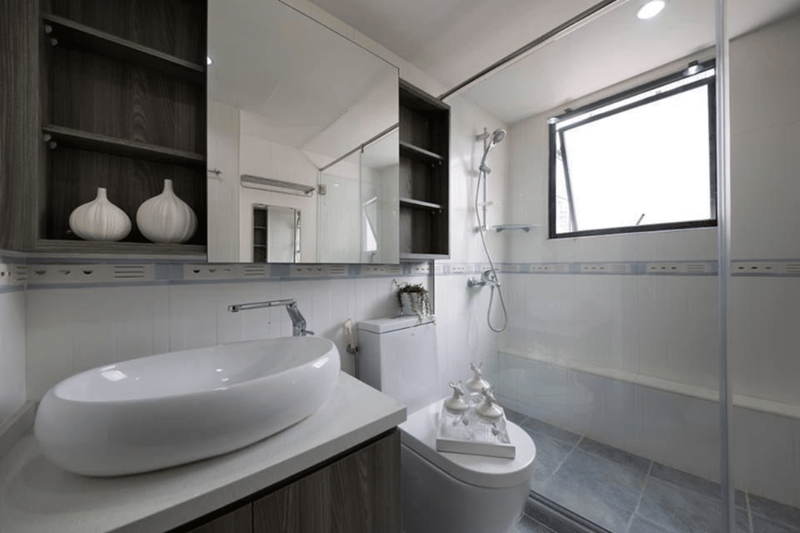 Get free quotes and start remodeling your old rusted bathrooms now with a help of best interior designers in Singapore. Add delicate and classy style with the border of tiles without breaking your bank. Add a border of mosaic tile with other light colored tile or make it view alone with painted wall. A row of colorful mosaic tiles creates a decorative border. This will add a cool and calm look to the bathroom. Add unique mix and match or color contrasting tile to your bathroom, such mix and match tile will make a unique and beautiful design. 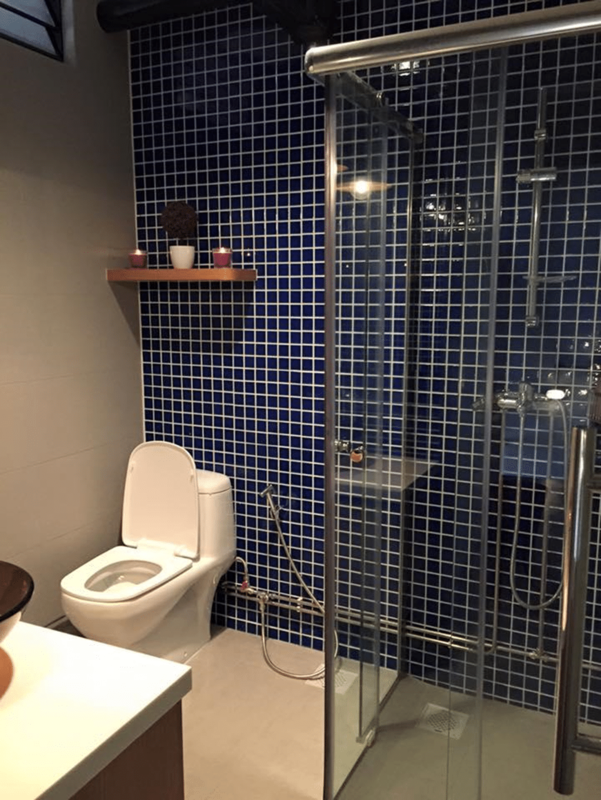 Add mosaic tile at with contrasting color at shower area as shown in the above picture designed by Briey Interior, this will give a visual appeal to your bathroom. Tile flooring is common in bathrooms and give a good substitute to hardwoods, which can get damaged if they are bare to too much water. Marble tile flooring can be helpful and sustain if bare too much water. Add unique geometrical patterns when coming up to design your bathroom. Your bathroom wall will not only look lovely but will make it easy to keep the bathroom hygienic and shield against humidity. You can either use one type of tile in unlike sizes or numerous kinds to make a unique appearance. 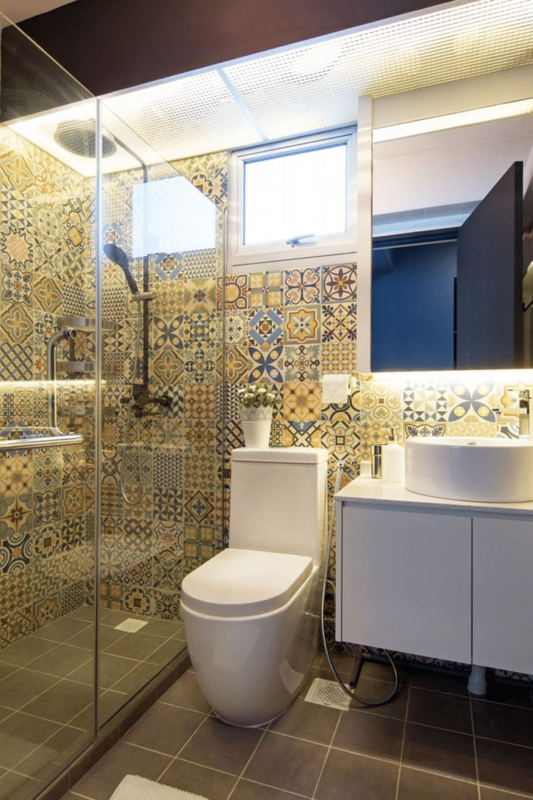 You can simply add some textural interest to the tile by mixing in some mosaic tile accents. 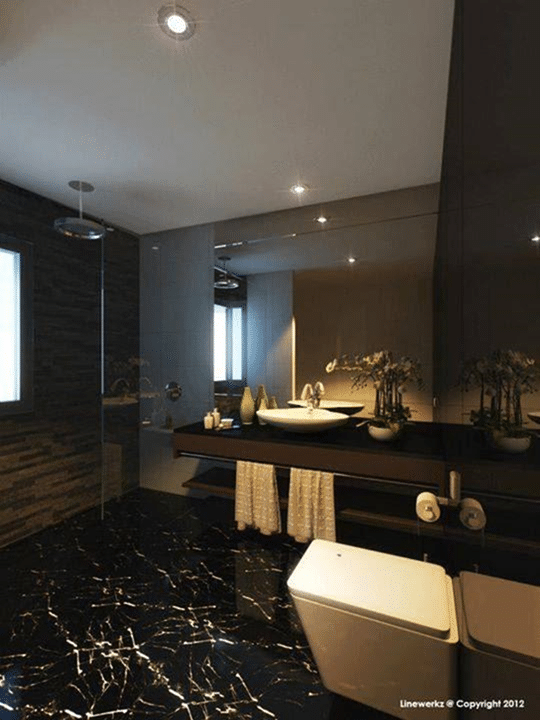 This will give a luxurious feel to your bathroom with its dark and bold appearance.